The U.S. mobile carrier is rewarding customers with stock in the company. It’s a twist on similar ideas tried by Boston Beer and Vonage. Boss John Legere’s marketing gimmicks have attracted new subscribers. This may be a less costly ploy, if the clunky process doesn’t interfere. 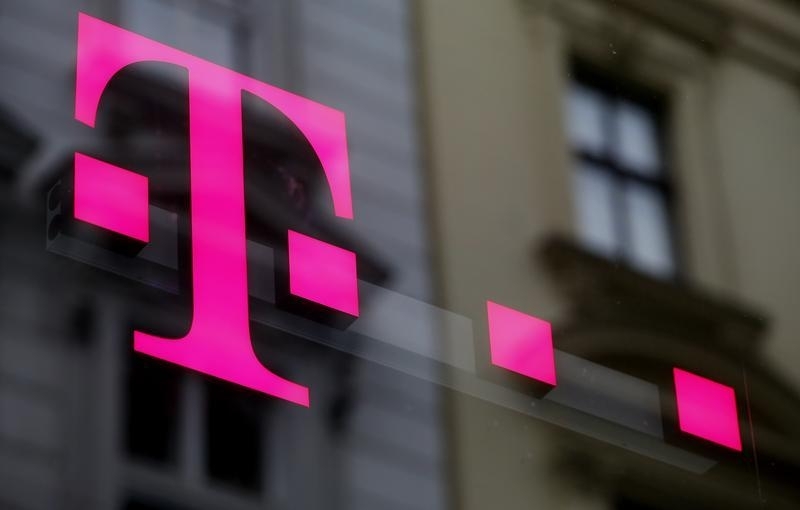 The logo of T-Mobile in Vienna, Austria, February 25, 2016. T-Mobile US said on June 6 it would give away shares in the company to customers as part of a loyalty program called Stock Up. Existing subscribers can claim their stock between June 7 and June 21. In addition, customers who recommend T-Mobile to others and get them to switch to the wireless carrier are eligible to receive from one to 100 additional shares. Subscribers can sell the stock with no fees for at least 12 months. T-Mobile said it plans to buy in the open market 1,000,000 shares initially.